Amethyst Chunk Liquid Silver Bracelet - duo strands of amethyst beads, pearls, Swarovski Crystal and liquid silver- average size 7-8" or by request-We LOVE this one! 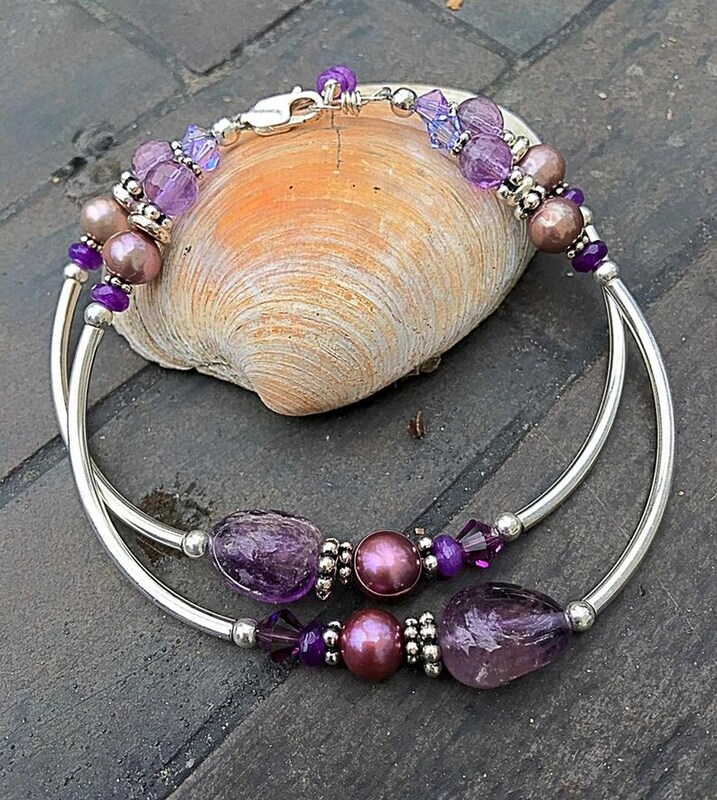 This bracelet is made with large chunks of amethyst, lavender freshwater pearls, crystals and Bali silver spacer beads. Finishes with an adjustable chain and sterling silver lobster claw.